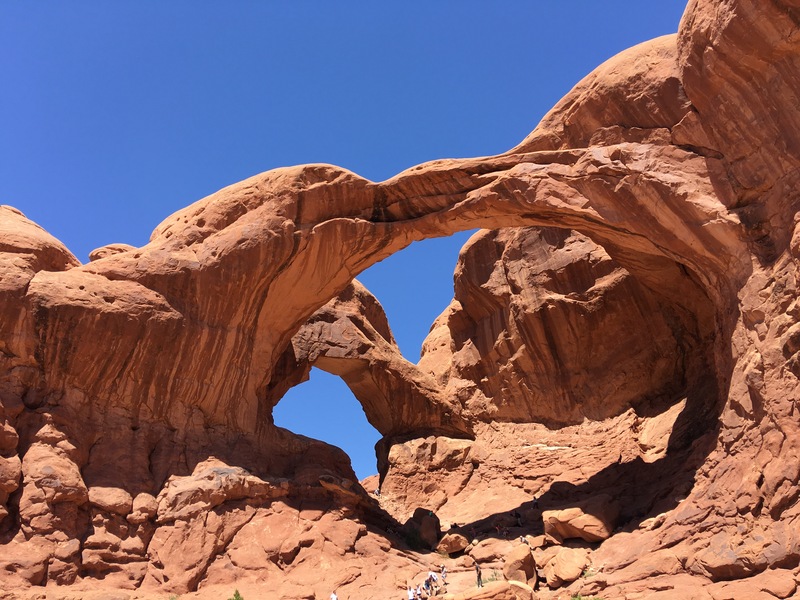 Arches National Park is one of our family’s favorites, but we haven’t been able to really start exploring it because our kids were too little. During our last visit six years ago, August was still in a stroller. 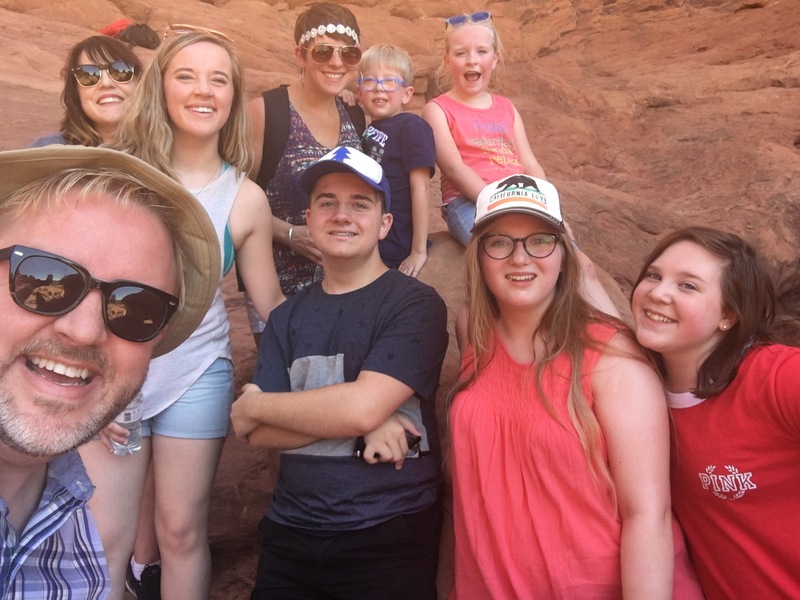 This year, we got to get out and do some “easy” hikes, which got us up close and personal with the stunning landscape of sandstone and red rocks. 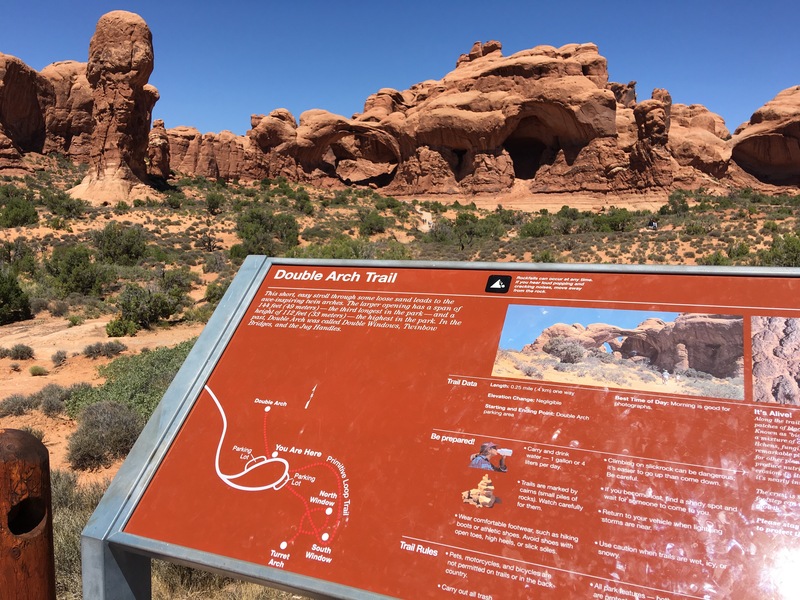 After a quick stop at the Visitor’s Center to get our Junior Ranger booklets, we began the drive out to Double Arch, famous from its appearance in Indiana Jones and the Last Crusade. 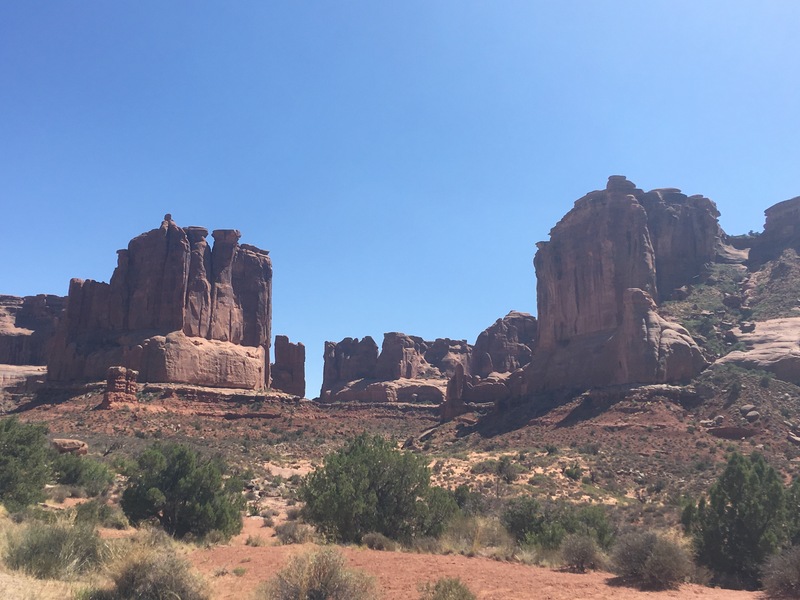 With plenty of water for the hot weather, all nine of us embarked on the easy walk out to the trail. It’s pretty amazing how close you can get, and standing under the arch really drives home how huge these structures really are. After a quick pose for a group photo, three of us decided to climb higher. Pretty stunning views and it looks higher and scarier from below than it did from up high. Totally worth it, although it did freak Robyn out a bit. 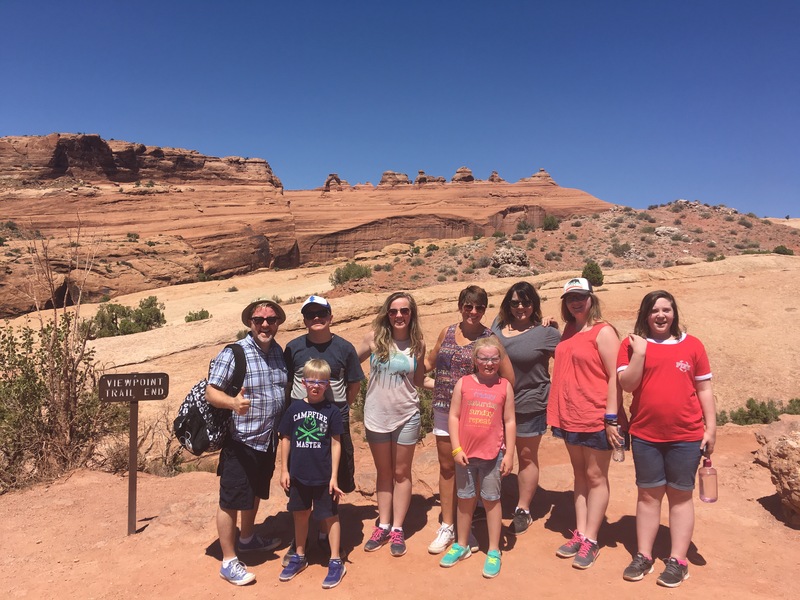 We then drove out to Delicate Arch, so we could get closer than our last visit. It’s an uphill climb and the kids got a little complainy, but it was so cool to see the landmark so much closer. We made it to the top and were treated to a stunning view, and everyone drank a lot of water. Austen got a bloody nose suddenly, so we hurried back down, but those few moments were glorious. We drove through much of the rest of the park, and every curve is a treat of a view. Returning to the Visitor Center, everyone got their Junior Ranger Badges, and we ventured out to enjoy a beautiful drive into southern Colorado. 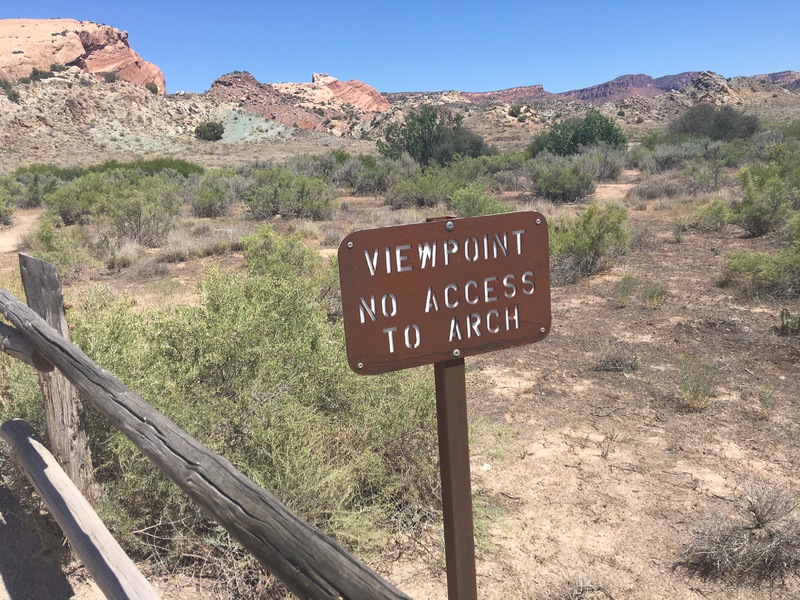 Next time, we climb all the way out to the Arch!